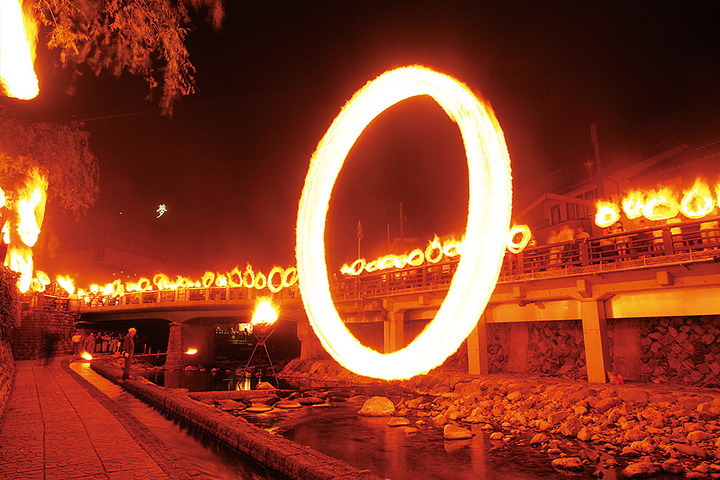 The Yumura Fire Festival started in the Edo period has continued to be held since the establishment of Yumura Onsen as a town. Children gather at Shofuku-ji temple with torches, and walk along the river to the sound of flutes. While singing their song and carrying the fire, they pray for good health and good crops. Copyright © 2019 Yumura Onsen Tourism Association All Rights Reserved.